*This experience was hosted by Taos Ski Valley, and all opinions expressed here are our own. Taos Ski Valley is world renowned among top ski resorts as among the best skiing there is in the US. 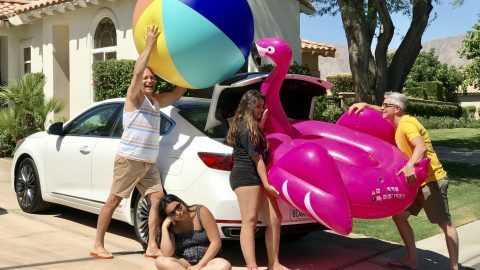 Families flock from all over for the amazing New Mexico snow, the pristine mountain conditions, and the down-home family vibe at this unique resort. In the summer the resort has even more activities to offer. A recent visit helped us discover many family activities at Taos Ski Valley in the summer. 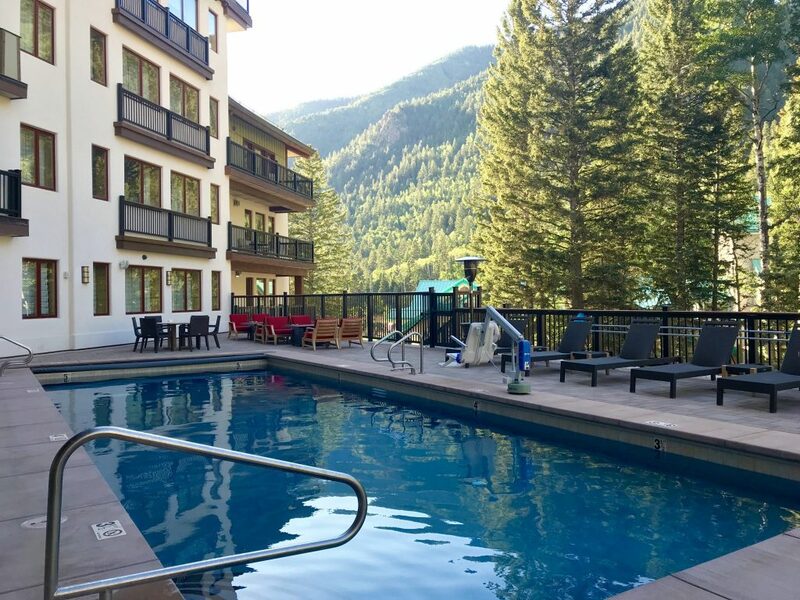 The pool at The Blake hotel in Taos Ski Valley overlooks gorgeous pines and a clear running stream. The new management at Taos Ski Valley has made enormous improvements over the last couple of years. Even more is coming this season, with many more additions over the next three years. A major focus has been to program more activities for the off-season months of May-November, when the snow is melted and the mountains are green with grasses, trees and wildflowers. With such beauty, history and adventure at its doorstep, there are plenty of family activities at Taos Ski Valley in the summer. 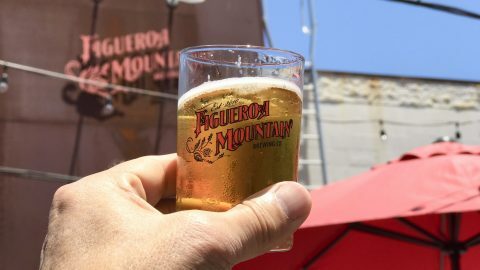 We strongly recommend connecting with a local guide. We were so fortunate to have Angelisa Murray from Heritage Inspirations to lead us through our itinerary. She was beyond our greatest expectations, and made our whole experience extra special. 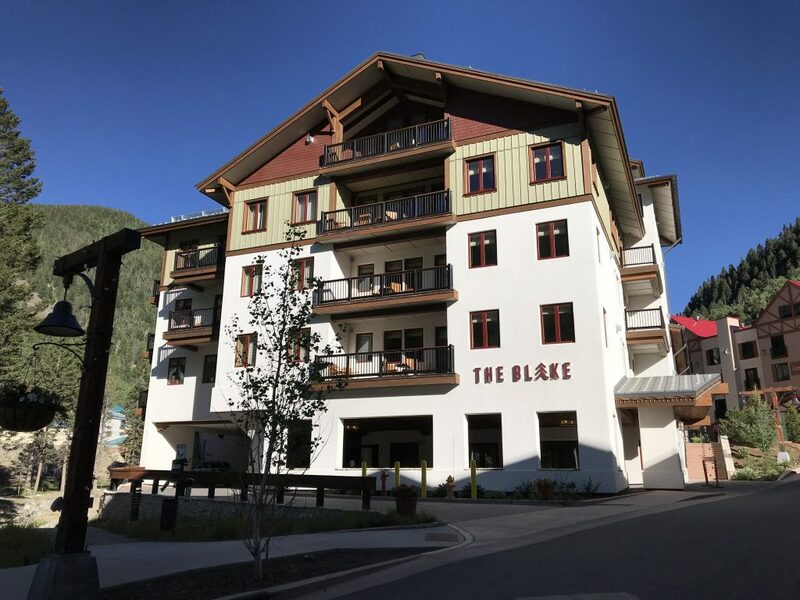 Perched at the bottom of Taos Ski Valley’s slopes, The Blake is a 5-star resort hotel. Downtown Taos is small enough that it’s easy to walk around the entire area at leisure. With so many interesting shops, galleries and restaurants, a family can easily spend an entire day exploring. Taos has long been known as an artist community, dating back to the late 1800s. On a trip to document the Great Southwest, Bert Phillips and Ernest Blumenschein discovered Taos and settled there. Other artists soon joined them to form the Taos Society of Artists, the most famous of which is Georgia O’Keefe. Her masterpiece paintings of the raw land, colorful vistas, bones and flowers were all conceived and created from her experiences in the Taos area. Much of these early artists’ inspirations have fueled an entire colony and economy based on original art. There are many shops and galleries where art and photography can be purchased, and even a couple where the kids can get in the act. The Harwood Museum of Art is a good place to start for children’s programs. In downtown Taos, Chokolá allows guests to taste their varieties of special housemade chocolates. Other businesses have grown from this fertile community as well, including an amazing chocolatier called Chokolá Bean to Bar. 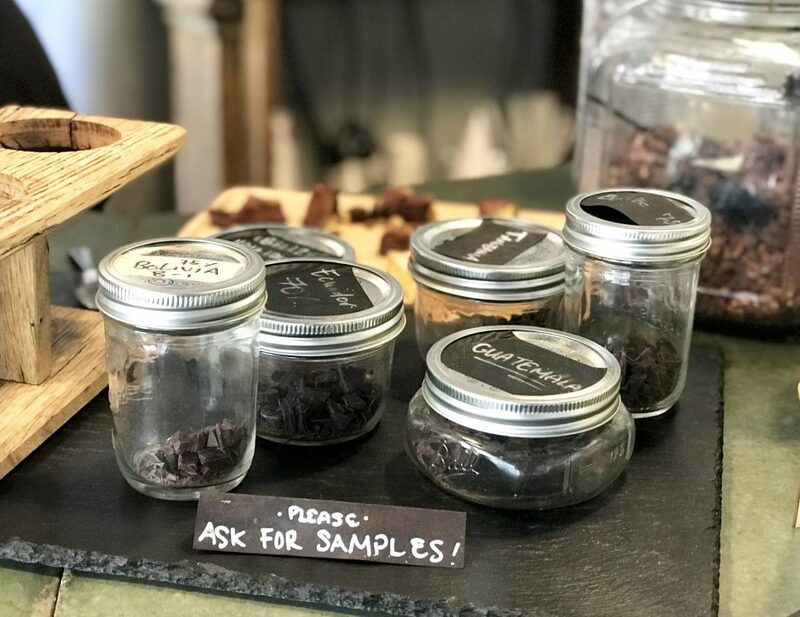 Here you can sample several varieties of chocolate, made from beans roasted in-house and then mixed into nibs and then bars. Our favorite was from Ecuadorean beans, while others liked the Venezuelan chocolate best. Kids enjoy ogling the many flavors of truffles and chocolates, or gobbling up some of their high end gelatos. Another interesting place we visited was Tres Estrellas Designs. 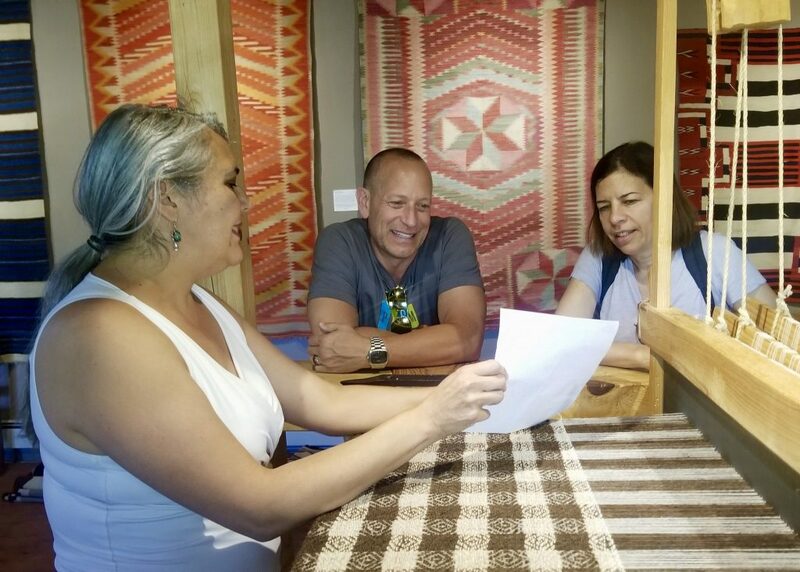 This is a unique gallery specializing in the art of historic Native American woven blankets, serapes and rugs. Colorful examples of this art form hang from the walls, with price tags from several hundred dollars up to more than $20,000. They also have an impressive collection of old Western artifacts for sale. Watching someone demonstrate the working loom is mezmorising, as she weaves the threads according to certain patterns. Learning how to make Native American textiles using a loom and natural threads at Tres Estrellas. 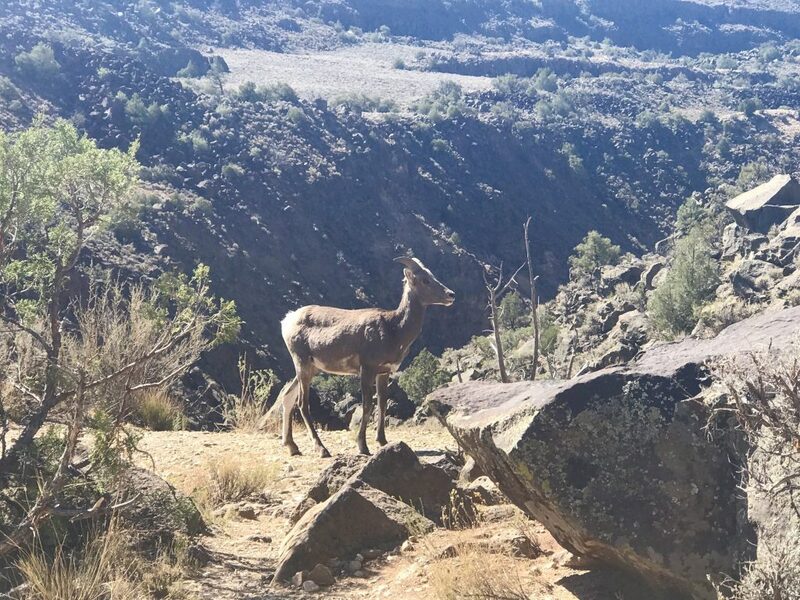 If you prefer a view from above, there are several easy hikes along the rim of the Rio Grande River Gorge. 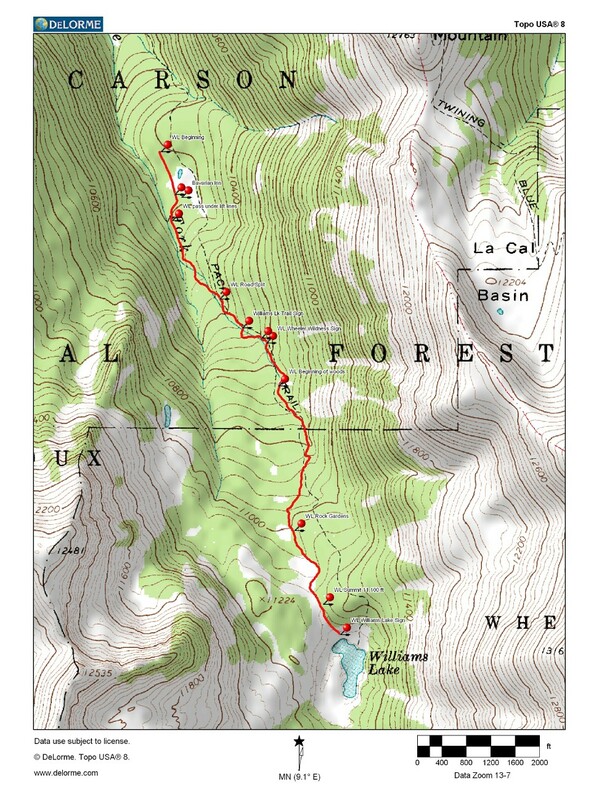 We decided on an easy, flat hike for roughly 2 miles along the Orilla Verde area on the Vista Verde Trail. Getting an early start is recommended, so the sun isn’t too hot yet and the animals are still foraging for food. After slathering up with sunscreen, we grabbed our hats and water bottles to head down the trail. 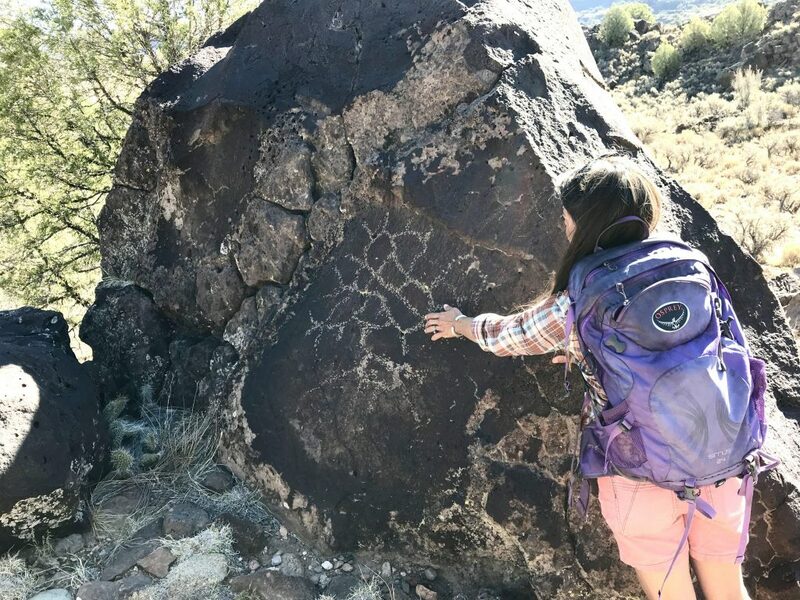 Angelisa pointed out a great example of local hieroglyphics on along the Rio Grande Gorge. Just a few hundred yards in on the left, Angelisa steered us toward an impressive example of hieroglyphics from ancient times. Carved and painted on the side of a huge boulder, the writing was faded but clear enough to make out the symbols. It was a drawing of a local cactus in flower! It was amazing to think about the meaning this must have had for whomever painted it and their tribe. This young Big Horn Sheep kept a wary eye on us as we hiked around him to avoid disturbing his zen. Just down the path we entered a clearing full of bunnies, their ears angled carefully to pick up the sound of our footsteps. Remarkably unconcerned at our interruption, the adults and babies went on feeding, nibbling the green bits of new growth on low plants. Later we happened upon a young Big Horn Sheep, who took a liking to our gang and followed us for quite a ways. The views from this vantage point are breathtaking. From the edge, it’s possible to look up and down the Rio Grande River Valley. 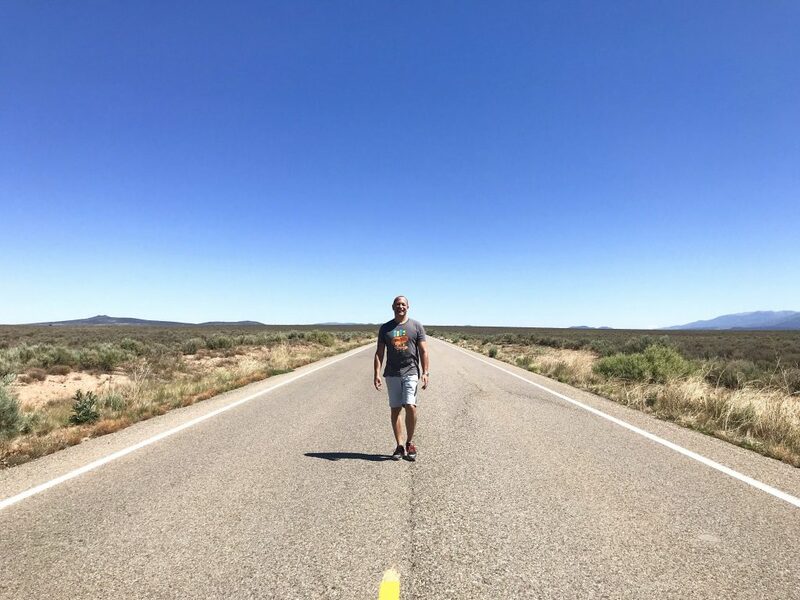 The high desert roads near Taos, NM are often completely deserted except for the occasional photo model getting in the way. Not to be missed, the Taos Pueblo is a remarkable combination of modern day needs and ages-old traditions. In fact, the Pueblo has been maintained in its original condition for more than 1,000 years. As we walked through the grounds, we visited the dwellings, the stream that feeds the area, the beautifully decorated church and the graveyard. The Catholic church, St. Jerome’s, was built in 1850 after the original church from the 1600’s was destroyed in war. Now the church is cared for by a special group of women that regularly change the adornments of the holy figures at the alter. These themes follow the seasons, with colors that match the turning of leaves or the flowering of spring. 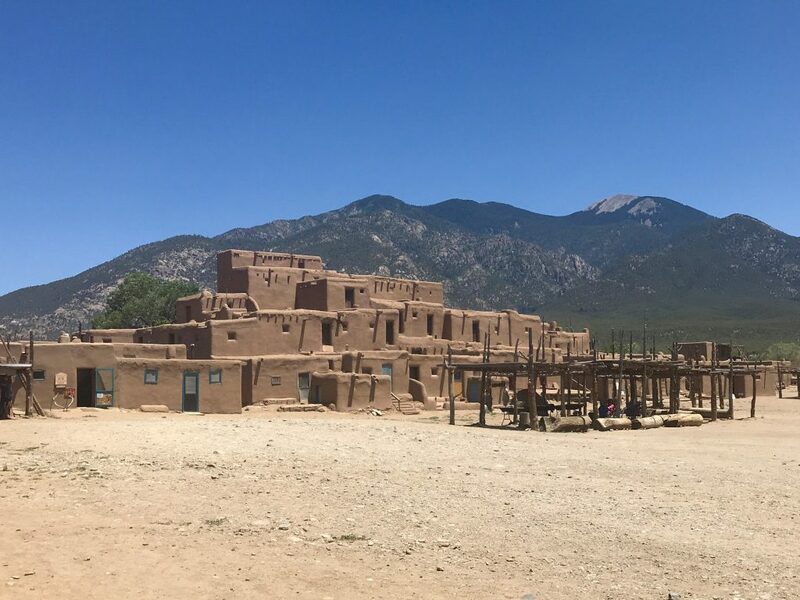 Taos Pueblo is very special, as it is the only living Native American community designated both a World Heritage Site by UNESCO and a National Historic Landmark. The Pueblo is the oldest continually inhabited Native American community, having never been overtaken in war or conquest. Blue skies, green mountains and clay-colored adobe dwellings are beautiful contrasts at historic Taos Pueblo. There are many, many impressive points of interest and things to learn on a guided tour of Taos Pueblo. Local merchants sometimes sell their handmade wares, created in the tradition of their ancestors. There are toys, jewelry and mica-flecked pottery of all shapes and sizes. We enjoyed touring the site, seeing how adobe bricks are made and watching as residents climbed traditional ladders to reach their upper-story dwellings. The Rio Grande River cuts through a chasm in the high desert terrain just outside of Taos. The effect creates a dramatic gorge containing rocky walls that tower more than 1,000 feet in some places. In the spring and summer, the melted snow feeds waters into the River that create fun rapids perfect for rafting. Several local rafting companies offer fun-filled rides down the Rio Grande, with an average rapids rating of 2. This means there are a couple of wild spots to get your heart racing. Mostly, the route contains moderately moving waters that are easier to navigate without drama. Kids love the roller coaster-like effect, and the cool waters are a nice respite from the hot summer days. Check out Cottam’s Rio Grande Rafting to inquire about different tour options and pricing. Stand Up Paddleboarding is also available in calmer areas of the River. Some places offer funyaking as well, with boats sized for one, two or more people. The hike to Williams Lake yields tremendous vistas. Starting at Taos Ski Valley, this trail leads to high elevations that rise above the forests and qualify as true wilderness lands. 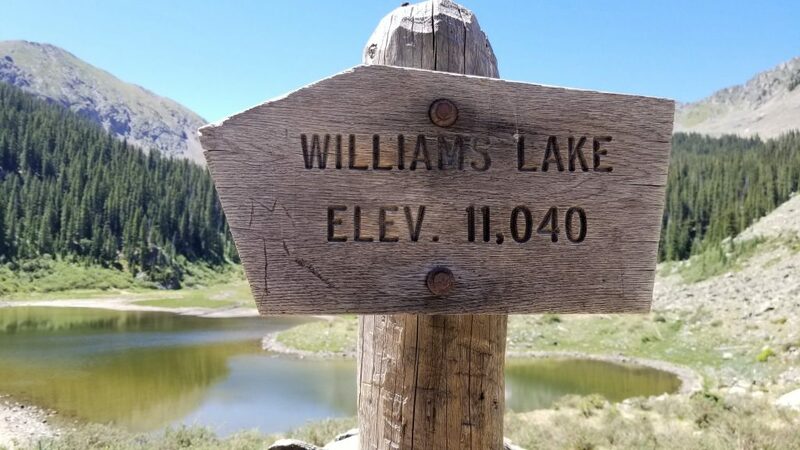 As high as 11,000 feet, these hiking trails are more a bit more aggressive and probably not best for little kids. Older kids (maybe 9-10+) and adults will love the views from here, like no others to be found in the area. The trails lead through the pines and up to meadows full of wildflowers and green open land. A few yards more, and Williams Lake comes into view. The Williams Lake Trail in the summer is a thing of beauty. Led along by our intrepid guide Angelisa, our gang set out in the morning for the two mile hike. When we reached the meadows, the flowers were in full bloom and the air was so clean and fresh. The lake is not large in the summer, and can be easily circumnavigated in short time. Sitting at the edge was one of the most peaceful experiences of the whole trip. With so many cool things to do in Taos Ski Valley, we need to go back and repeat all these experience and add some more! Planning for such a long list of must-sees, we are already scheduling our next trip for great family activities at Taos Ski Valley in the summer.